when you purchase a Milwaukee Tick 10 Pack! 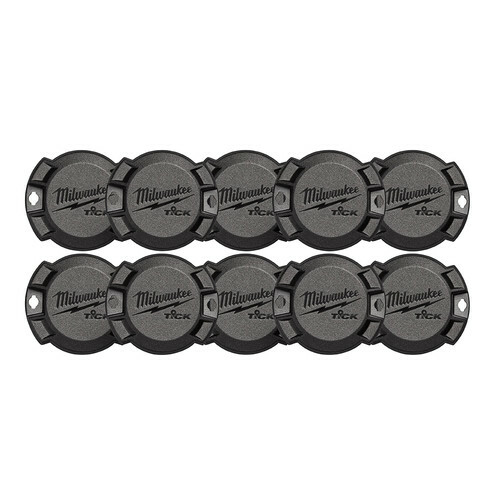 *Add the Milwaukee 48-21-2010 Tick 10 Pack to your cart and the free item will automatically be added. Limit 2 free items per customer. Offer valid until 11:59pm ET on April 30, 2019 or while supplies last. No adjustments to previous purchases. Subject to change without notice. The Milwaukee TICK Tool and Equipment Tracker is the most versatile Bluetooth tracker on the market. With multiple attachment options and a low profile design, users can glue, screw, rivet or strap the TICK on anything. Weather, water and dust proof ratings ensure that the TICK Tool and Equipment Tracker will survive every environment. Powered by a coin cell battery that provides over 1 year of runtime, the TICK will reliably provide tracking beacons anytime, anywhere. Receive low battery, service reminders and missing tool notifications through the ONE-KEY App. Location Services powered by the ONE-KEY App. does the puck send an audible signal or does the phone deliver the signal? What is the method for finding the puck using the app? One key app is the app to download? BEST ANSWER: Yes, one key will be the application. Does it communicate via satellite communication or do you have to be within 100ft to receive signal? BEST ANSWER: Model 48-21-2010 will provide location updates when it comes within a 100ft range of any phone with the ONE-KEY App, providing the last seen date, time and location. It work in Cuba ?